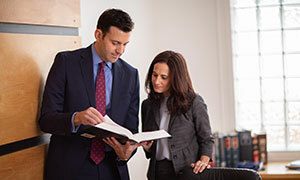 Our lawyers can help you obtain compensation for your injuries. We are one of the nation's highest rated law firms with more than 40 years experience protecting the legal rights of accident victims and their family members. Our extensive experience includes accidents and injuries of all types, and we have represented thousands of people throughout the United States. We never represent insurance companies or product manufacturers. Our attorneys have recovered more than three billion dollars for our clients from many of the largest insurance companies, corporations, and government agencies in the world. Our law firm also has the personal and financial resources to stand toe-to-toe with the most powerful businesses. We advance all the costs required to protect your legal rights and get you everything you rightfully deserve for your losses. Please contact us for a free, confidential and no-obligation consultation about your personal injury or loss of life claim. Through our nationwide affiliations with top-rated personal injury law firms, we can identify local co-counsel to join us in representing you. This added service costs you no more. In this way, you have two experienced law firms protecting your legal rights for the same fee that only one would charge. For free answers to your legal questions about injuries of all types, please complete our convenient online contact form.